1. PNOY: Why did you oppose my right? SHALANI: What are talking about? PNOY: Because you left me! 2. SHALANI: Have I been a heated frying pan to you? 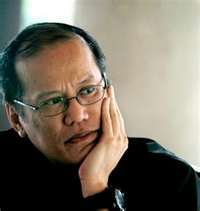 PNOY: Why you say so? SHALANI: Because I think I hurt you! 3. PNOY: Are you playing basketball now? SHALANI: How come did you say that? PNOY: You're so fast in rebounding! 4. SHALANI: I've heard you were paralyzed! How true was it? SHALANI: Because you can't move on! 5. PNOY: I know everything's on top for us right now. SHALANI: What do you mean? 6. PNOY: I just realized we are both A.
SHALANI: Do you mean - alright? PNOY: Nope. We're not meant to BE! 7. PNOY: Never had I thought you're like a fried chicken 'til I met you. SHAMCEY: Why did you say so? PNOY: You're so yummy Shamcey! 8. PNOY: Even though you're an architect, you can still be my cardiologist. PNOY: I want you to take good care of my heart! 9. PNOY: I would rather want you to call me prince instead of Mr. President. PNOY: So that I can call you my princess. 10. PNOY: Though it's our first time to see each other, i think you're a good dictionary. SHAMCEY: What's the sense of that? PNOY: Simply I found a meaning in you! kung lagi lang ganyan, baka ilan na naanakan ni PNoy.